A perfect present to your family or friends. This nice hand crafted Rose and Vine design will sure look good on your front door. 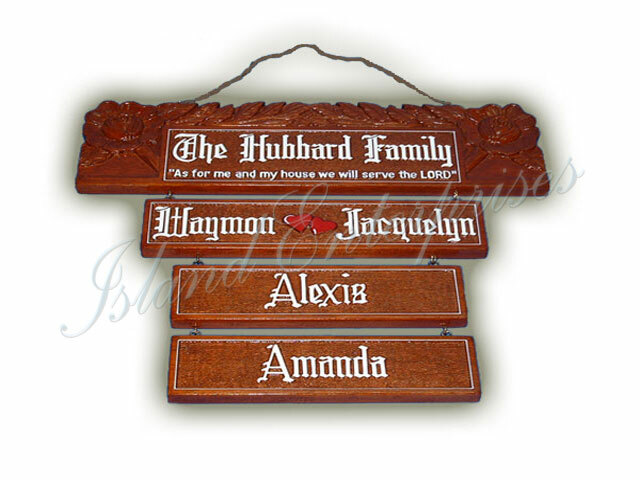 A set includes a hanging plate for the Family Name, Husband and Wife and a child. You may add child names, but with an additional cost. And don't forget we offer a 100% money back guarantee if you are not convinced you have bought the best product available on the market.